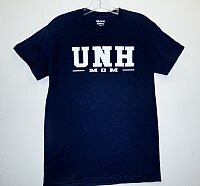 Hayden Sports has a wide selection of New Hampshire Wildcat team tees including UNH Hockey and UNH Football. UNH Wildcat t-Shirts start at only $12. Browse our creative selection of UNH Wildcat team t-shirts, classic UNH sayings, UNH clubs and University of New Hampshire majors.